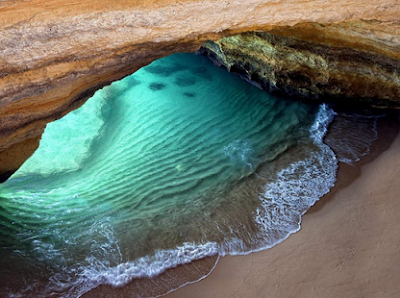 Holiday: Benagil Sea Cave at Portugal. need to make your virtual daydream become reality”. Experience an enjoyable sea cave tour in your life. Benagil Sea Cave become a part from many cave system that lines Portugal’s southern coastal in the Algarve region. This most iconic and gorgeous cave is just located not far from a beach in the tiny town called Benagil. The Algarve coastal is become the most Portugal’s popular holiday destination. The attraction drawing many Europeans looking to explore the country’s beautiful summer sun. The coastline lays for about 150 kilometres and is form with alternating cliffs, beach and caves. The latter of which interesting formations like skylights and often become beautiful attraction of light throughout the day. 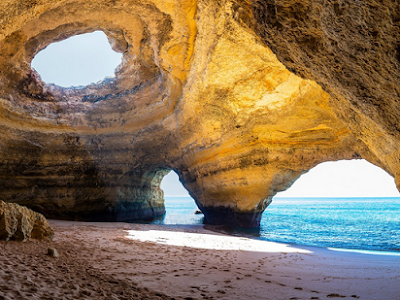 For a visitors that want to have a trip to the caves on the Algarve coast, join a tour package provided in one of the larger towns including Carvoeiro, Lagos, Albufeira, Faro and Portimao. There is also another way that more chipper to visit sea caves, that is by having tour using speedboat or kayak. The facilities are available at almost all tourist towns on the coast. Actually, this kind of travel is much more exciting and you can stop by at any beaches where ever you like. Sometimes it is much easier to spot the dolphin that eventually like to play around your kayak or boat. If you’re some kind of adventurous person, a tour package may not be necessary and you will save a lot in that. Many beaches and marinas provide kayak rentals and you can set out on your own schedule to discover caves at just around the corner. There is another alternative idea for the trip. If you’re driving across the coast, what you have to do is to stop in any town and there you can ask for the captain or local that have a boat. Usually it yield at least one enterprising captain who are willing to bring you to the cave. The caves are best visited during low tide for easy to get inside and have an exciting views of the cave. Some visitors just swimming to the cave that is not far away from the beach. Beach has been developed into your typical seaside destination for consideration with expanding resorts adding more and more facilities to the region. Leaving the busy strip between Faro and Albufeira to escape from city hustle into beautiful nature and small fishing villages is still a piece of cake. Other than that when you’re not at the beach, you can find world-class golf courses. There is also have important religious sites, nature reserves and Roman ruins are all easily accessible by car. Even for the busy holiday season, Albufeira retains its traditional charm as always. Other than many of attractive resorts, the region provide plenty of great stuff (but still luxurious) such as guest houses, breakfasts included and boutique hotels for the guest to get style when taking a tour. Check out Calcada Guesthouse to feel for a pleasant stay in a traditional way, or for more urban style provided by Casa Tres Palmeiras with a Cliff-side BBQ and an awesome pool. 6 Hours of Sea Caves Tour. 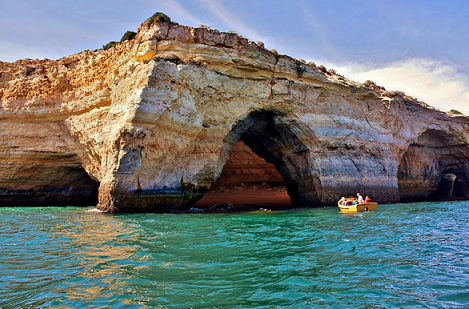 Full day of Algarve boat trip which includes exclusive lunch at the beach and small boat ride to go inside the Caves. The sea caves tour on the Catamaran Liana or Yatch Moena could also give exciting experience with the emergence of dolphins swimming and playing around the boat. 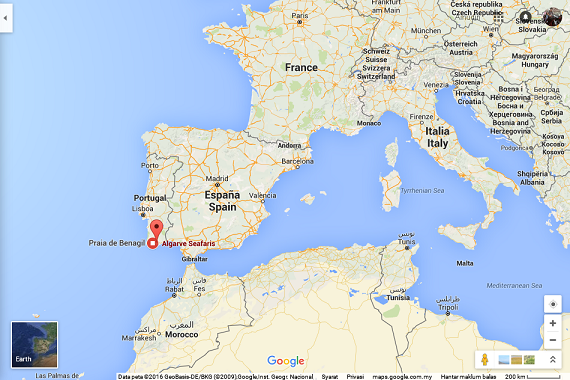 Cruise: Vilamoura to Barlavento Coast. Boat: Yatch Moena (price for adult is 39€). **Children age 0-3 years old is free. 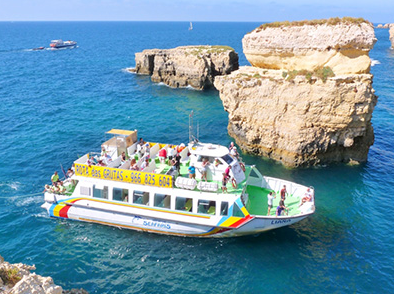 09:30 – Start departure from Vilamoura Marina Cruise to the sea cave. 11:00 - Down to beautiful beach, where you can spend some time to relax and enjoy the sea breath. 12:00 – Lunch will be included at the beach. 13:00 – Dinghy (small boat) ride to go inside the caves and other attractions area. 14:30 - Return back to Vilamoura Marina Cruise by the Dolphin Route. 15:30 - Arrive at Vilamoura Marina. Unforgettable exciting boat tour on Yatch Moena or Catamaran Liana using such big boats with outstanding comfort and stability will become a great moment in your life. After departure from Marina Vilamoura, the cruise takes the direction to Barlavento coastal. The cruise distance is about 40 miles across Algarve spectacular coastline with fisherman villages, beautiful beaches and small towns. You can see impressive rock formations and cliffs along the way to the largest sea cave in the Europe's seaside. There are several groups of dolphins swimming along the coast of Algarve, so don´t be surprised if suddenly the tour have a visit from them. Break hour at a paradise beach is awesome where you can enjoy the sun, swim, dive, and spend some relaxing sunbath time with your partner. Do not forget to bring your sun cream and towel so you don’t get burn in long exposure of sun light. Lunch included at the Beach with delicious BBQ, bread, chips, salad, fruit, orange juice and white wines. Bring your camera to take a beautiful photos while dinghy ride inside the caves. Benagil Sea Cave tour by Yatch Moena or Catamaran Liana become the Europe's most spectacular event. Have no doubts for this kind of holiday trip and come to enjoy the spectacular experience.